These beautiful fleece blankets are generous in size. They are approximately 66 x 90. 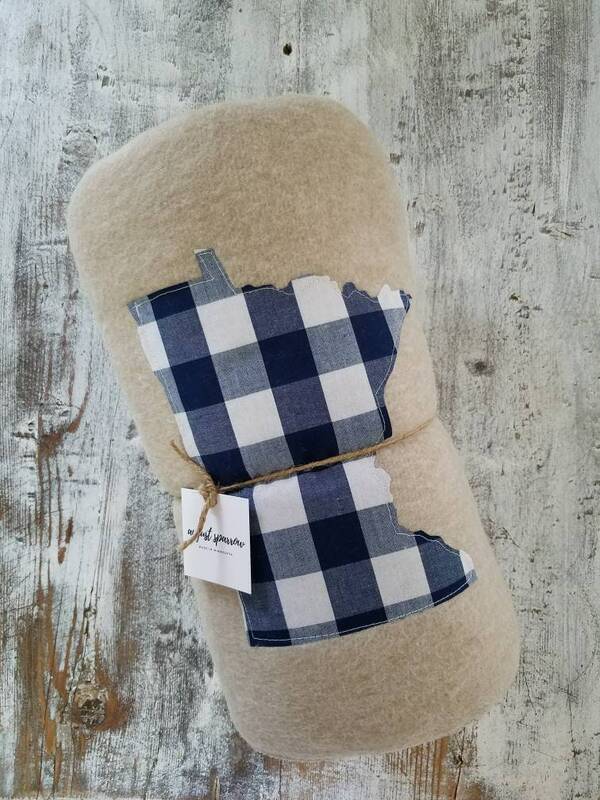 They feature a hand cut, machine sewn Minnesota appliqué in the bottom corner.